Bulgaria and Romania are East European countries whose rugged terrain and consequent isolation have helped preserve their diverse heritage. 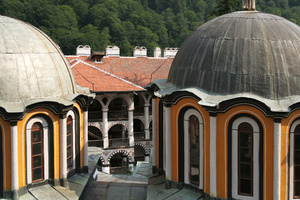 Tours of Romania and Bulgaria explore the complex history and fascinating culture of the region. On your private or group escorted Romania tours discover the luminous frescoes of the painted monasteries, visit the mysterious Transylvanian towns and ancient sites, on Bulgaria tour breath in the fragrance of the Valley of the Roses, and enjoy the splendor of rustic mountain villages, and humble monasteries. Our guided tours of Bulgaria and Romania will be a feast to your eyes and imagination. The local tour guides will share their knowledge and warmth of their hearts. You can go on a 15-day tour combining Bulgaria and Romania in a fascinating journey discovering charms of Bucharest, cosmopolitan Varna, the buzzing Bulgarian capital Sofia and visiting many UNESCO World Heritage sites. For a short visit, you can take just Romania or Bulgaria 3 day private tour. 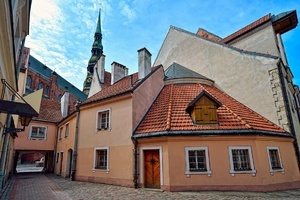 In either case, you will have unique experiences delving in a peculiar mix of ancient, medieval and modern. Tours of Bulgaria and Romania are designed for a traveler to discover the treasures of the Balkans. The tours will take you through the highlights of Bulgaria, and Romania, visiting the capitals, Sofia and Bucharest, as well as the fascinating towns and cities, old monasteries and castles of Transylvania, Veliko Tarnovo, Bulgaria’s capital during the Middle Ages, Sighisoara in Romania, a town with medieval towers, ancient houses, and churches on cobblestone streets. In the heart of Transylvania, you will visit the secret retreat of the royalties of Europe, spend a full day in Bucovina – the land of the unique painted monasteries belonging to the UNESCO World Heritage. In Sofia you will visit a medieval Orthodox church listed as a UNESCO World Heritage Site - Bojana Church, in Plovdiv - 1st century Roman Amphitheatre, which is considered to be one of the world’s best-preserved ancient theatres , Bachkovo Monastery, housing one of the wealthiest galleries of traditional Bulgarian religious art with exquisite murals and medieval icons and many other unique places. Nature lovers will admire the spectacular Bicaz Gorges - the Red Lake – Miercurea Ciuc. Budapest will surprise you with diverse architecture - from Gothic to Baroque, Neoclassical and Art Nouveau. The city is full of history and is rich in thermal waters. Discover all of this and more during the guided city tour. The Romanian capital will also welcome you with the open-air Museum, showcasing traditional village life, ancient farmhouses, craftsmen' workshops, cottages, wind and watermills from all parts of the country. And definitely, you will visit Bran Castle, with imposing towers and turrets from the 14th century where Vlad the Impaler—better known as Dracula once lived. 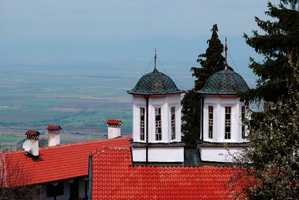 The Bulgaria and Romania tours are designed for culture-minded, curious travelers. It’s a once-in-a-lifetime trip!